So you’re a runner who wants to start doing yoga. Awesome! You’re going to get a lot out of yoga, which will help you improve your running both physically and mentally. But, it can be a little intimidating figuring out where to start. Most runners aren’t the most flexible folks to start out with, so going to your first yoga class can be a little intimidating. 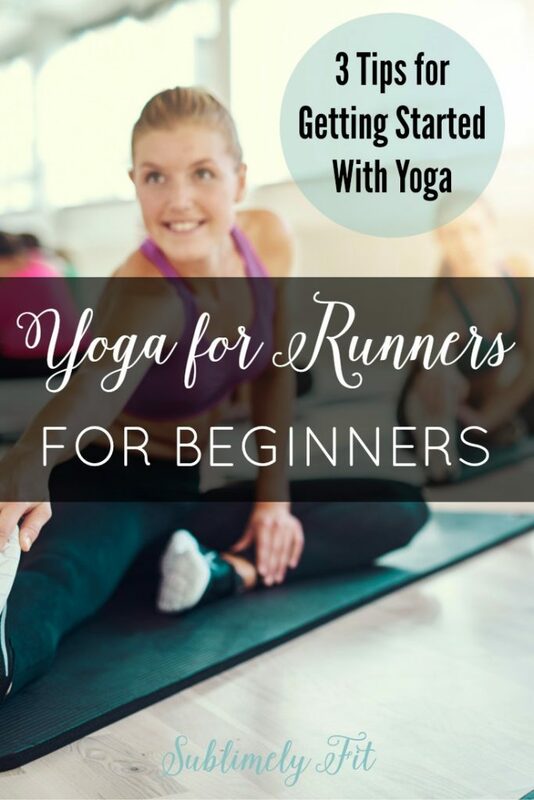 That’s why I want to run through the basics of yoga for runners for beginners today. 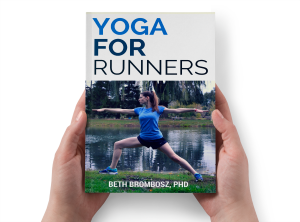 Yoga for Runners for Beginners – Three top tips for runners getting started with yoga from a yoga teacher and running coach. I’d read a lot about the many benefits of yoga for runners, so I looked around for actual yoga for athletes classes in my area. Unfortunately, at the time I was finishing up my doctoral work and I wasn’t in the most cosmopolitan location, so there weren’t any classes specifically designed for runners or athletes in my area. Eventually I swallowed my pride and headed to the campus gym for my first class. Surprisingly, my first class wasn’t that scary once I got into it. There were a lot of beginners in the class, which made me feel more at home. So, my first yoga for runners for beginners tip is to find a beginner-friendly yoga class. These classes usually move at a slower pace. The teacher will also generally break down the poses in further detail, helping you find the right alignment to protect your joints and muscles. Similarly, a yoga for runners or yoga for athletes class would be great because the teacher will be familiar with athletes’ bodies. Your teacher should have designed his or her class around the body of an athlete. So, these classes can be a great place to start, too. 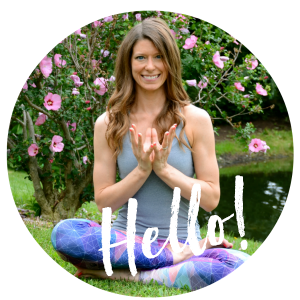 If you’d prefer to try yoga from the comfort of your own home, an online yoga for runners course could be a great option for you. This is one of the biggest mistakes I see runners make in yoga class, and it’s a point that I can’t emphasize enough. If you find yourself in an all-levels class, remind yourself that you haven’t been practicing yoga for 10 years. And, running tightens up your muscles, which means that unless you quit running, it’s unlikely you’ll ever be as flexible as some yogis. For example, I would teach all-levels classes and I’d cue my students to come into whichever variation of pigeon pose felt right for their body. The runners in my classes would often force themselves to come into a sleeping pigeon or half pigeon pose, because that’s the more advanced option. However, they would struggle and strain and they didn’t get a good stretch because they were pushing their bodies too far. Instead, a gentler version of hip openers, like a reclined pigeon, is a better yoga for runners for beginners option. It’s most important to make the pose fit your body, not to make your body fit the pose. Use props like blocks, blankets, or even a chair to help modify yoga poses for tight areas in the body, like your hamstrings. Tip #3 – Have Fun! Many, if not most, runners are pretty Type A. Often, we runners want to do everything perfectly and we want to be our best at every sport or activity we try. Keep in mind that at the end of the day, yoga really is just yoga. It’s okay to fall out of a pose. Don’t take yourself too seriously in yoga class. Let go of any thoughts of getting into a perfect pose, and instead focus on finding a pose that feels right in your body. At the end of the day, it’s your yoga practice, and it’s all about what feels right to you. Questions about yoga for runners for beginners? Leave them in the comments! Yes yes yes to not forcing poses or stretches. Yoga really helped my recovering perfectionist issues since I was okay looking different in the poses. Question: At my wife’s urging, I tried a Yoga With Adriene video a few weeks ago — and stopped after three minutes. These are really supposed to be made-for-beginners videos, but the poses she had you getting into were exactly the kinds of stretches I would never ever do with cold muscles. Should I consider giving it another shot after a short run, or am I better off looking elsewhere?